Shared Equity Mortgages- Are They Worth It? 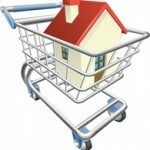 The purchase of a home involves a large investment, money that not everyone has available. 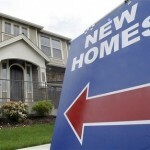 A down payment of 20 percent or more will have to be made in order to avoid paying private mortgage insurance. Add several fees and closing costs to that and you are looking at an initial investment of tens of thousands of dollars. Borrowing that kind of money from a relative can be extremely difficult. Your family member could invest that money into something that will yield a nice return, so it would be unfair to deprive them of that. 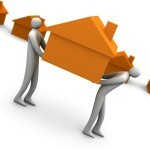 One solution would be for the relative or even a friend to become a co-investor in your home. Shared equity mortgages allow you to find a co-investor that will provide part of the down payment, with the condition that he or she has the right to a percentage of the property’s value. While home prices can increase over time, and both investors can turn a profit, there is always the risk that home values will decrease, and both investors will lose money. Fortunately, real estate is a profitable investment more often than not, so a shared equity mortgage can make more sense than many other investments. By using a shared equity mortgage, parents also have the chance to help their children become home owners without having to dip into their investment funds. The largest advantage of shared equity mortgages is that, depending on everyone’s financial situation, one person can only occupy the home, while the other invests in it. This way, the person occupying the home doesn’t need good credit or money for the down payment, while the investor makes a larger return on his or her investment. Another benefit is that someone can become a home owner much quicker than it would take if he or she took time to save money for the down payment and closing costs. Of course, the profit will have to be shared with the other investor in the future, so deciding if a shared equity mortgage is right for you depends mostly on your plans. A third advantage is that both people who have invested in the home have the right to benefit from the real estate ownership tax benefits. When writing the shared equity mortgage agreement, the investor must not be considered a lender, because that would disqualify him from being entitled to tax benefits. Also, the person who will occupy the home must not be considered a tenant in the written agreement. This can be avoided by hiring an attorney to draft the shared equity mortgage agreement. The biggest disadvantage is that, if the housing market drops, the investor will lose money. That is a risk that investors take when making any investment, but the real estate industry has proved to be a fairly solid investment over time. Another disadvantage is that sharing equity can become expensive if the two parties involved start disagreeing on things like who pays for the property taxes and insurance. Also, the investors’ credit score can be negatively affected if the mortgage goes into default. Shared equity loans can be a win-win for both parties, as long as there is a written agreement in place. One of the parties gets to become a home owner, without spending too much on the initial costs of buying a home, while the other party gets to invest their money into something that will most likely generate a profit. House-pricing indexes measure changes that occur in the pricing of residential homes. The most commonly used house pricing index is the Case-Shiller Index, put together by Karl Case, Robert Shiller and Allan Weiss in the 80s. After developing the housing index, they started a company to help them sell the research. Their company was later purchased by Fiserv, Inc., which records the data behind the index. After the data is recorded, it is distributed by another financial services company called Standard & Poor’s. The Case-Shiller index is actually composed of several indexes, such as the national home price index, which is determined quarterly and published in February, May, August and November. Another index is the 10-city composite index, and it covers the following cities: Boston, Chicago, Denver, Las Vegas, Los Angeles, Miami, New York, San Diego, San Francisco and Washington, DC. A third index is the 20-city composite index which, besides the cities listed above also includes: Atlanta, Charlotte, Cleveland, Dallas, Detroit, Minneapolis, Phoenix, Portland, Seattle and Tampa. Also, all the cities in the 20-city composite index have 20 individual indexes. What Does the Case-Shiller Index Do? The Case-Shiller index analyzes the changes in the pricing of single-family homes by comparing the prices for which the same properties have sold over time. Because newly built homes don’t have a pricing history, they are excluded from the analysis conducted by the Case-Shiller index. New homes usually must have had 2 owners before it can be determined how their pricing has changed over time. Condos are also excluded from the Case-Shiller index, although there is an index that analyzes condominium pricing in five major areas: Chicago, Boston, Los Angeles, New York and San Francisco. The Case-Shiller house-pricing index tracks homes sold at market value for prices that can be used to accurately determine the state that the housing market is in. Transactions where homes have been sold far under market value, for example between close family members, won’t be included in the case-Shiller index, because they don’t accurately represent the housing market activity in that area. However, foreclosure sales are included in the Case-Shiller index because they are considered regular transactions. Home-pricing indexes help both home sellers and home buyers. Buyers who look at indexes and see that home prices tend to increase will know that they have to hurry up and make their purchase before prices go up significantly; sellers who notice that prices are increasing can wait a while longer until they put their house on the market and increase their chances of getting a better price. The Case-Shiller house-pricing index might be the most popular, but there are a few other indexes that track home prices. One of them is the United States Federal Housing Finance Agency (FHFA) which, besides sales, also includes refinances. The FHFA includes 363 metro areas and covers mortgages for single-family residences which are backed by Freddie Mac or Fannie Mae. Other indexes are the LoanPerformance Home Price Index, which covers almost the whole country, and the IAS360 House Price Index, which is published with a smaller lag than the Case-Shiller index, making it more accurate. The Case-Shiller and other house-pricing indexes can help, whether you are looking to buy a home or sell one. Keeping a close eye on these indexes before getting involved in a real estate transaction can help you get a better deal, or, at the very least, help you better understand the housing market. Making an Offer on a Home? Here’s How! 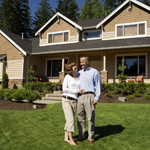 Making an offer on a home can be somewhat confusing for most first time home buyers. Before making an offer, most people inevitably ask themselves if maybe the offer is too low or too high. Unfortunately, there is no set in stone rule when making an offer on a home. There are several factors that you should take into consideration before contacting the seller with an offer. These factors can make it easier for you to tell how much the seller might be willing to accept for his or her home. Whatever your offer ends up being, keep in mind that a verbal promise is not legally enforceable. You will need to make an offer in writing, which will also include the terms and conditions of the purchase. Your offer will only be the first step of the negotiation process. The seller will, most likely, get back to you with a counter offer, which you can take or try to negotiate further. When making an offer on a home, you will have to make sure that the offer is not too low, which can result in the seller feeling insulted. Also, you have to make sure that the offer is not too high, because that will be more money out of your pocket. So the solution is finding a middle ground, a price that will satisfy the seller, and one that you can live with. Before making an offer on a home, you should do some research, which will help you better evaluate how much the home is actually worth, and give you information to back up the price you offer. Find out how much other comparable homes have sold for recently. Your real estate agent can probably help you with finding out how much other homes like the one that you are prepared to buy have sold for in the past few months. Try to find homes that are as similar as possible, in the same area with the same number of rooms, similar amenities and appliances. Find out if the local demand for homes is high or low. Finding out if there’s a high or low demand for homes in the area is really important and can help you significantly in coming up with an offer. If the demand for homes is high in the area, then prices are going up because it’s a sellers’ market, and you will probably have to compete against other bidders for that home. If the demand for homes is low in the area, then you probably won’t have any competition, and it will give you more room to negotiate. Find out if other buyers are interested in the home. Having competition means that you will probably have to outbid other buyers in order to purchase the home. This is not a good situation to be in, so your first offer should be closer to the asking price. This will increase your chances of being the one that wins the bidding war, but it is up to you to decide if paying close or even exactly the asking price is worth it. Find out if the owner is in a hurry to sell. The seller might need to move quickly or need the money from the sale for a new home. Knowing this means that you can negotiate more aggressively, especially if there are no other buyers involved. Find out what condition the property is in. It may cost you a few hundred dollars, but having the home professionally inspected before signing a contract can save you a lot of money and headaches in the future. 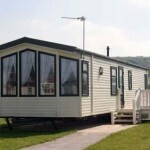 Based on the results of the inspection, you can also decide how much to offer. Making an offer on a home is not as easy as it looks. But researching your purchase and knowing what you are looking for can put you in a position where you know how much you can negotiate, and better estimate how much the seller is willing to accept. Remember that making an offer that is too low is almost as bad as making an offer that is too high. The price will usually be the maximum that the seller expects to receive for the home, but that doesn’t mean that they will go much lower than that. Based on the factors listed above, you should be able to come up with the perfect offer which the seller will hopefully accept. There may come a time in your life when you will want to stop paying for rent or living with your family or friends and become a home owner. One of the most basic dilemmas that most people who are looking into home ownership have is whether to buy an existing home or a new home. Finding the answer to this dilemma is surprisingly difficult because there are many factors that you will have to take into consideration when buying a home. Both choices have plenty of advantages and a few disadvantages, which should be carefully looked into before deciding which way to go. Location. Existing homes are most likely built closer to major metropolitan areas, which will make your work commute and shopping significantly less difficult and cheap. Many new homes are built at the edge of the city or town, so your commute will be longer, which means that you will be spending more gas and time on the road every day. Check out the most expensive housing markets as well as the least expensive housing markets to help make your decision. Build quality. Both construction materials and labor were less expensive in the past, which means that even if the home is a few years older, it’s very likely that it was built stronger and with better materials than a home built recently. Appliances. Many existing homes are sold with included appliances, such as stoves, refrigerators, or even television sets. Buying a new home or building means that you may have to buy all or some of these appliances which can end up being quite expensive. Better curb appeal. Most existing homes have mature trees around them and landscaping. You probably won’t get that with a new home, and, depending on which area the new home is built in, you may have to wait years until your home’s surroundings will be complete with mature foliage and finished construction projects. The neighborhood. Most existing homes are located in already established neighborhoods, so it will be easy for you to find out if you are moving into a good or a bad neighborhood. You can also find out what your neighbors are like before buying the home. When buying or building a new home in an unknown area, you can end up having some unwanted developments built right next to your home. Location. While this can also be considered a disadvantage, living on the outskirts of a city, where new houses are often built, can also be a blessing for those who want to live away from the noise and agitation of a large city. If you’re looking at rural areas, you can potentially apply for a USDA mortgage loan. Less maintenance. A newly built home will need repairs and maintenance much less than an existing, older home. 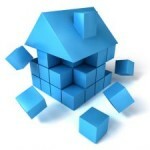 Many parts of the home may even be covered by a few years of warranty. Serious and expensive repairs to things like the roof or the electrical system will be much cheaper or even free if they are covered by a warranty. More modern. People’s taste in homes changes over time, which means that you will probably like a new home, with bigger rooms and a more modern design. On the other hand, older homes may have certain unique architectural elements that you my like. More energy efficient. Because new homes are made with newer materials, they may be better insulated, making your energy and heating bills much lower. Existing homes usually cost more to heat or cool, but it generally depends on the age of the construction. Amenities. Many new homes may offer amenities that are not usually offered when moving into an existing home. These amenities can include a swimming pool, jogging trails, or playgrounds for your children. Buying an existing home or buying a new home may seem like an easy decision, but it is actually a very serious and difficult decision. Whatever your budget and requirements are, you should not dismiss either option before taking a closer look at what each has to offer. Additionally, renting a home may be an option to consider. You might be set on buying or building a new home, only to find that it will be much cheaper and convenient to buy an existing home that will satisfy all your needs. Alternatively, you may also find that buying a new home over an existing home can be more beneficial for your situation. 10% Down Payments are Back! Becoming a home owner is many people’s dream, and at one point in their life, it will probably become reality. But there are several factors that need to be considered when buying a home, most of them related to how much you will be spending on your loan. Finding a home is the easy part, and you probably won’t encounter too many issues there. But making sure that you are not overpaying is a little harder, and will require some research. Of course, your financial situation may require you to make some compromises, such as having lower monthly payments at the cost of paying more overall on your mortgage loan. Another aspect of your loan in which you can compromise is the size of your down payment. For years, the majority of lenders have required borrowers to make a 20 percent down payment, but it looks like 10 percent down payments are back, and they are an attractive alternative to many home buyers. Depending on how much the home that you are buying is worth, a regular 20 percent down payment can mean a large amount of money, which many home buyers are not able to afford. For some, it might take years to come up with the 20 percent down payment, so the 10 percent alternative is a good option. Besides the down payment, home buyers shouldn’t forget about other costs associated with taking out a mortgage loan, such as closing costs and insurance. Closing costs can be very high, making the 10 percent down payment even more attractive, compared with the hefty 20 percent down payment. Another advantage of not having to save for a long time in order to come up with the 10 percent down payment is that, when saving money for a few years, there is always a chance that home prices may rise, making it impossible for you to buy a home with the amount of money that you have saved up. You should also take inflation into account- 20 percent of the cost of the home right now will, most likely, not represent 20 percent of the price of a home a few years from now. Even if you can afford the 20 percent down payment, you can choose to only put down 10 percent and use the other 10 to finance repairs or improvements to your new home. 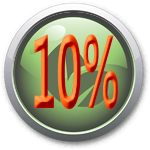 That extra 10 percent can also be used for investing in stocks or mutual funds, but this is only recommended for those who have experience in these types of home investments. One large disadvantage to making a 10 percent down payment is that qualifying for a lower down payment is fairly difficult. Lenders require your debt to be less than 45 percent of your income, and your credit score to be above 700. Many of these restrictions apply to 20 percent down payments, as well, so qualifying for a 10 percent down payment won’t be too difficult if your only problem was coming up with the 20 percent required by all lenders until now. Another disadvantage is that, if home prices go down in the future, you could end up with a home that is worth less than what is owed on the mortgage. If this happens, you may not be able to sell your home, which may lead to other serious issues. 10 percent down payments can also be problematic if you have little equity in your home and decide to sell. Your loan value plus selling costs can be higher than the sale price, resulting in you losing money. 10 percent down payments are back, and that is good news for home buyers with good financial situations, but who can’t or choose not to make a 20 percent down payment. But before deciding how much of a down payment to make on your home, you should calculate how much money you would save or lose with each option. If the down payment size is the only thing standing between you and home ownership, then go for it, but you shouldn’t choose to make a 10 percent down payment just because you can, without weighing in on both the advantages and disadvantages. Renting vs. Owning: Which is Best for You? Right now when the housing market is slowly recovering and interest rates are still near record lows, it might be the best time to consider becoming a home owner. Of course, depending on your financial situation, home ownership might not be the best choice for you. People have always debated whether it’s better to own a home or rent one, but the truth is that it mostly depends on each person or family’s budget, location, and future plans. Owning a home can be as affordable as renting or even more affordable in some parts of the United States. The difference in price can be easily figured out by simply comparing mortgage prices to rental prices in your area. But even if renting seems cheaper, you will need to take into consideration all the advantages that home ownership has to offer. First of all, probably the most important factor that will influence your decision on whether to rent or buy a home is location. Prices fluctuate significantly depending on what area the home is located in. You might want to be closer to your job, which may make you look at homes in more expensive parts of the city or town. 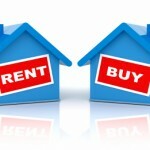 Prices for homes could be well out of your price range, so renting will be your only viable choice. Alternatively, you could move to a less expensive area, which will make your daily commute longer, but will give you the advantage of being able to afford buying a home. Another factor that will have an impact on your decision is timing. You have witnessed the rise and fall of the real estate market during the past few years, and you have probably realized that buying a home has a lot to do with timing. Millions of people have lost their homes during the economic collapse because they became home owners before the housing market bubble burst. Interest rates also fluctuate, so buying when interest rates are low is a wise choice. Last, but not least, one factor that should influence your decision is your financial situation. When analyzing your financial situation, you need to have a look at both your savings as well as your income and future earnings. This way you will determine if you are in a good position to become a homeowner, or if you should rent until you can make the necessary changes that will allow you to buy a home. Equity. When paying your mortgage loan, you are increasing your degree of ownership with every monthly payment. By paying rent, you are pretty much losing that money, as opposed to ownership where you can actually borrow against your equity to finance other purchases or refinance your home. Tax deductions. Your mortgage loan interest and property taxes are tax deductible, which will save you a significant amount of money each year. If you work from home, your home office and part of your utilities may be eligible for further tax deductions. Make changes to your home. When you own a home, you can decorate it any way you want. You can paint the walls any color you choose, hang pictures on the walls, and even add rooms or other structures to it. When renting, you can only make small modifications, and you will most likely need the building owner’s permission. Choose how to deal with repairs. Whether you can repair and maintain your home on your own, or hire a contractor, you can do as you wish, without being at the mercy of your landlord, as is the case with renting. Low upfront cost. When renting, you are required to pay the first and last month’s rent, and probably a security deposit upfront. There are no large down payments, home inspection fees, and closing costs, like when buying a home. The difference between the upfront costs of renting and buying can be as high as several tens of thousands of dollars. Easier to relocate. If you need to relocate for reasons such as a job change or divorce, you can easily pack up and move. Also, if your salary changes, you can easily move to a different area. Increase your credit score. A low credit score can get in the way of becoming a home owner, so renting for a while not only allows you to have a roof over your head, but it will also help increase your credit score and get back on the path to home ownership. No repairs and maintenance. If something in your rented home, like appliances or fixtures, stops working or breaks, you won’t have to replace it and pay for it. The landlord will take care of repairing and replacing things. Both owning and renting have their advantages, but choosing one or the other will mostly depend on your budget and plans. Prices and interest rates fluctuate often and sometimes significantly, so buying a home at the opportune time will save you a lot of money and future headaches. Also, if you are not comfortable with the current housing market situation or your financial situation, then renting will most likely be the better choice.